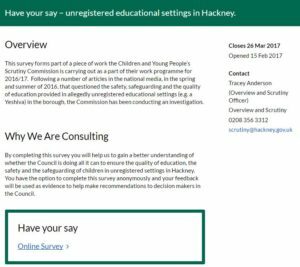 Hackney Council’s Children and Young People’s Scrutiny Commission is carrying out an inquiry into illegal, unregistered schools in the Borough. 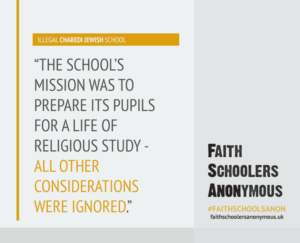 As has been well-documented on this website, as well as by the British Humanist Association (BHA), a significant number of children from the strictly Orthodox Charedi Jewish community are ‘missing’ from the school system, and are attending illegal ‘faith’ schools in which they are subjected to indoctrination, educational neglect, and abuse. 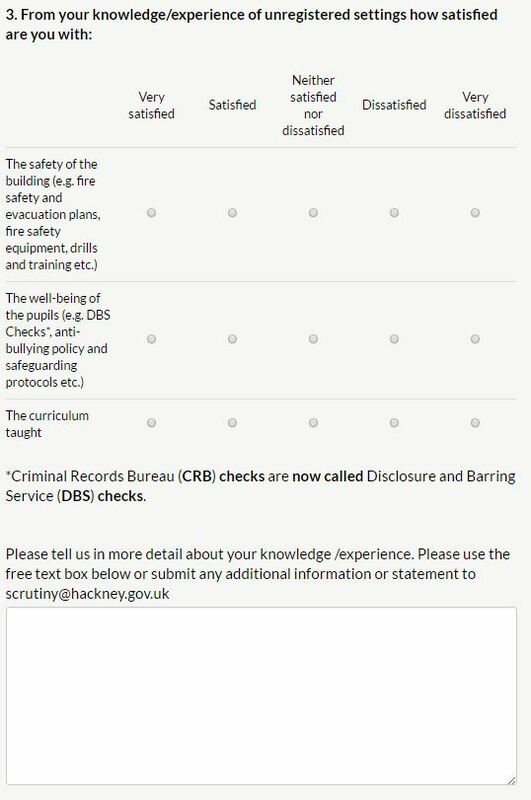 Hackney are now asking for former or current pupils, parents, or teachers of these schools, or anyone with information about them, to come forward and submit their experiences. 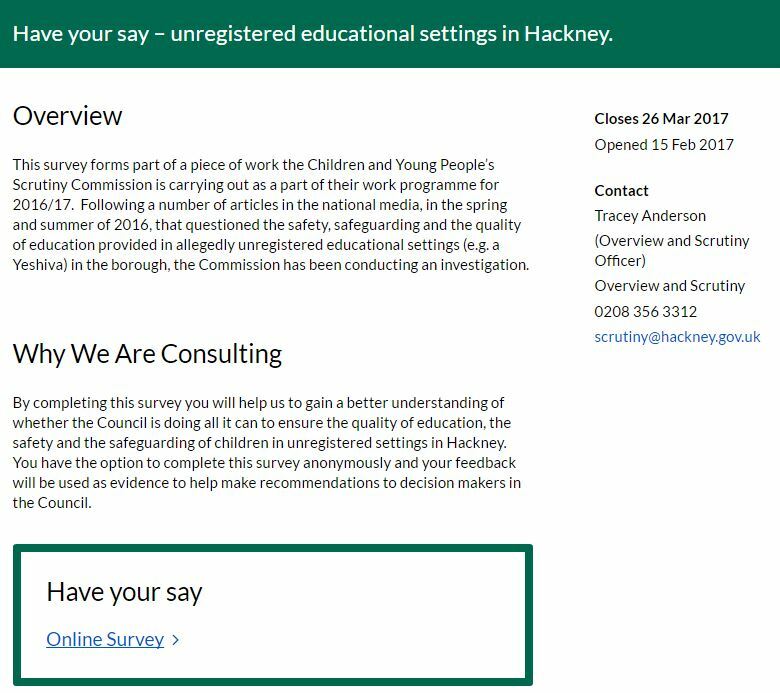 This can be done entirely anonymously through the following link: https://consultation.hackney.gov.uk/overview-and-scrutiny/unregistered-education/. 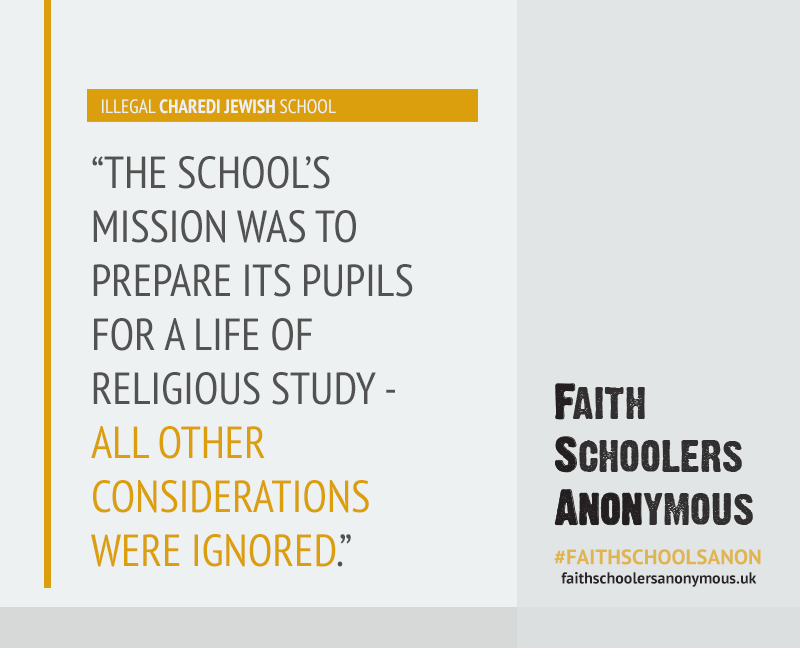 For context, you can read the experience of one such former pupil here, who says that at his school ‘physical punishment was commonplace and the atmosphere was one of perpetual fear’: https://faithschoolersanonymous.uk/2016/05/life-in-a-charedi-school/. And you can read here about the extent of the problem, and how open a secret the plight of these children is, in our piece ‘Where have all the children gone?’: https://faithschoolersanonymous.uk/2016/11/where-have-all-the-children-gone/. 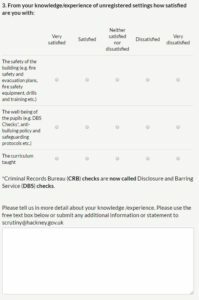 Please do share the link to the questionnaire with anyone who you think can contribute to the consultation. If you are comfortable with your response or parts of your response being made public, please forward them to info@faithschoolersanonymous.uk.